In a decision announced a few hours ago, the DC Circuit of Appeals has largely ruled against the Open Internet, or network neutrality. These are rules established by the Federal Communications Commission to prevent massive ISPs like Comcast and AT&T from degrading or blocking access to certain sites on the Internet. Decision here [pdf]. The goal is to prevent these big firms from being able to discriminate - to pick winners and losers. For instance, Comcast could charge subscribers an extra $10 per month to access Netflix while not charging to visit similar sites that it owns. The rules were intended to prevent that. However, the FCC has a history of decisions that have benefited big telecom corporations more than citizens and local businesses. Those decisions limited how it can protect the public interest on matters of Internet access. This court decision decided that the way the FCC was attempting to enforce network neutrality was not allowed because of how it has decided to (de)regulate the Internet generally. In essence, the FCC said that it didn't want to regulate the Internet except for the ways it wanted to regulate the Internet. And the Court said, somewhat predictably, that approach was too arbitrary. Moving forward, the FCC has the power to enforce this regulation, but it will have to change the way the Internet is "classified," in FCC lingo - which means changing those historic decisions that benefited the big corporations. Groups like Free Press are pushing to make this change because it will ensure the FCC has the authority it needs to ensure everyone has access to the open Internet. The lesson for us is that communities cannot trust Washington, DC, to ensure that residents and local businesses have universal, fast, affordable, and reliable access to the Internet. Communities should be investing in themselves to build networks that are accountable to the public and will not engage in anti-consumer practices merely to maximize their profits. Such behavior is inappropriate on matters of essential infrastructure. WUNC, a public radio station out of Chapel Hill in North Carolina, covered community owned networks and broadband availability on its recent "State of Things" midday program. I was a guest along with a local resident and a public relations executive from Time Warner Cable to discuss North Carolina's broadband compared to other states and its law that effectively bans local governments from building networks. The discussion is good, though I certaily could have done a better job. Ultimately I thought the host did a good job of bringing in each guest to make their points, though Time Warner Cable was totally unprepared to talk about how North Carolina can expand access. Instead, they talked about the cable giant's requirements to invest in networks in rural areas. We are going to follow up on these points but for now wanted to make sure you have a chance to listen to the show. Our coverage of the bill discussed in the radio show is available here. Even though I regularly read examples of terrible customer service from the massive corporations like AT&T, Time Warner Cable, CenturyLink, and more, I apparently retain the capacity to be surprised as how bad they are. The Dallas Morning News recently ran this piece: "AT&T Never Misses An Opportunity to Miss An Opportunity." In a neighborhood with poor access to satellite services and miserable with Time Warner Cable, people were thrilled when AT&T proclaimed it would be investing in U-Verse. Even though U-Verse is an amped-up DSL service that barely competes with cable connections, people who are fed up with Time Warner Cable were excited for a choice. Lo and behold, right in the thick of the CBS-Time Warner fight, I received notices from AT&T that Uverse was now available in my neighborhood. This is something I’ve waited more than two years for. I was thrilled. Finally, there’s choice! Since receiving my first notice from AT&T in early August, I’ve been inundated with AT&T offers. Dozens of pieces of mail have arrived in my mailbox. Clearly, AT&T wanted my business. And I wanted badly to give it to them. I phoned one day after receiving my first notice. I signed up immediately for service. The friendly sales person told me because of high demand, she couldn’t set an installation date for sooner than two weeks. Whatever. Fine. We agreed on August 19, somewhere between 9 and 11 a.m. I couldn’t wait. Only they didn't show. They cancelled. And they cancelled the next appointment and put him off time and time again. But now he has a date of when he will be able to take service ... and I'm not making this up. 12/31/2036. Those familiar with AT&T's announcement in Austin may think that it will take 23 years to upgrade Dallas because the massive corporation is focusing so much attention on Austin where they are kind of promising a gig. Karl Bode has long been covering what he calls Fiber to the Press Release from AT&T. Austin, Texas, with a little over 820,000 people, is home to several centers of higher ed, the Southwest Music Festival, and a next generation network known as the Greater Austin Area Telecommunications Network (GAATN). It was also the second metro area selected by Google for the Google Fiber deployment. But before they got Google Fiber, a local partnership had already connected key community anchor institutions with limitless bandwidth over fiber networks. The network measures its success in terms of cost avoidance, and averages out to a savings of about $18 million per year combined for its 7 member entities. In 2011, the National Association of Telecommunications Officers and Advisors (NATOA) named GAATN the Community Broadband Organization of the Year. Today, GAATN also serves the City of Austin, the Austin Indepedent School District (AISD), Travis County, local State of Texas facilities, Austin Community College (ACC), the University of Texas at Austin (UT), and the Lower Colorado River Authority (LCRA). GAATN's bylaws prevent it from providing service to businesses or individual consumers. Texas, like 18 other states, maintains significant barriers that limit local public authority to build networks beyond simply connecting themselves. As a result, local entities must tread lightly even if they simply want to provide service for basic government functions. Time Warner Cable subscribers across the country who enjoy CBS programming are out of luck. The two media giants have reached an impasse in their fight over retransmission consent so several major markets are now missing out. CBS has also taken the fight one step farther, blocking TWC broadband subscribers from accessing CBS.com video content. It doesn't matter whether CBS or Time Warner Cable is the bad guy here. The only one losing here is you, the viewer. Some members of Congress are standing up to the media giants. The bipartisan "Television Consumer Freedom Act," [PDF] co-sponsored by Senators John McCain and Richard Blumenthal, takes the first steps at fixing this mess. But an army of special interest lobbyists likes things the way they are, and they don't care that you are caught in the middle. For this bill to move forward, your members of Congress need to hear from you. For more detail on how we got here, read Harold Feld's recent Policy Blog on the PK website. PK makes it easy for you to inform your D.C. represenation that you want video reform. You can also look up your U.S. Representatives and your U.S. Senators to contact them directly via phone or email. The FCC does not have a good sense of what is happening outside DC in terms of broadband availability and data. This has been a conscious choice - it has refused calls (even those made by the FCC itself) to collect useful data that would lead to data-driven policies to encourage the investment we need. Not only has the FCC refused to collect data, it refuses to take action as companies like Time Warner Cable refuse to tell potential subscribers what the cost of service is. We have first hand experience along these lines - our goal was to document actual consumers prices for Internet access beyond promotional pricing. When we asked Time Warner Cable sales reps for prices after introductory deals expire, they would not quote a price. They would not give an estimate or provide any examples. If you are looking for evidence of a failed market, we submit that when a seller can refuse to quote the price that one will pay in 7 months for the service, or even ballpark it, with impunity, the market is busted. Time Warner Cable isn't worried about driving customers away - it many areas of the country it is only real option for not too slow Internet access. So it does as it pleases. We also contacted the FCC and asked staff where we could find information on the actual prices of broadband. The person on the other end sounded defeated as her voice dropped. "Oh, we don't collect that," she said, "We don't know any one who does. Have you tried calling the providers?" Call us old fashioned, but we think it's crazy. Even though Time Warner Cable, AT&T, Verizon, CenturyLink, etc. are some of the largest corporations in our country, affecting the household finances of tens of millions of Americans, their prices for connectivity are masked in a Cloak of Invisibility with the tacit approval of the regulatory body charged with protecting the public. 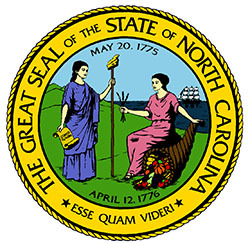 In a recent op ed in the Charlotte Observer, Christopher Mitchell delves into why North Carolina ranks last in per capita subscribers to a broadband connection. The state, through its legislature, is held hostage by large providers such as Time Warner, CenturyLink, and AT&T. David Hoyle, a retired Senator who admitted pushing bills written by Time Warner Cable, signed his name to an op-ed arguing cities should not have the authority to make their own decisions in this regard. Readers know that Time Warner and CenturyLink (formerly EMBARQ) targeted Wilson's Greenlight, leading to restrictive barriers for any similar initiatives. In his opinion piece, Chris delves into how those providers create an environment that kills opportunity for the people of North Carolina and how local publicly owned networks could restore those opportunities. Released last month, the FCC’s annual Internet Access Services [pdf] report shows North Carolina last among U.S. states in percentage of households subscribing to high-speed Internet connections as defined in the National Broadband Plan.